“Will the sky above Africa indeed become the blue stone where no vultures fly? We wish with all our hearts that many future generations will enjoy and cherish the sight of the big birds riding the high winds.” – DR IAN PLAYER (brother of Gary Player). On arrival at Johannesburg Int. Airport, you will be met by an African Collection representative and transferred to your hotel in the upmarket area of Sandton. The hotel adjoins one of Africa`s largest shopping centers with an enormous number and variety of boutiques and shops. After an early breakfast at your hotel, you will be transferred to JHB Airport for your one hour flight to the Sabi Sand game reserve area, adjacent to the world famous Kruger National Park. 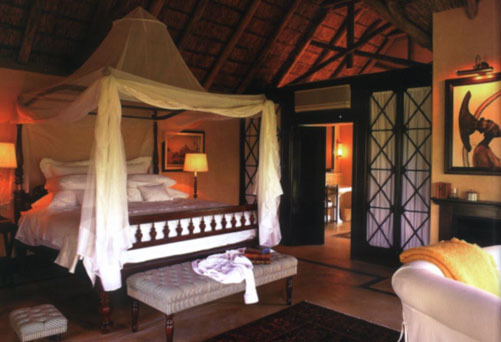 You will be met by the staff of Mala Mala Private Game Reserve and transferred to the lodge. Set in this huge game reserve area, Mala Mala has been rated as one of Africa`s most luxurious lodge, offering one of the best game experiences in Southern Africa. The private reserve offers prolific viewing of Africa’s most impressive wildlife on morning and evening game drives and on bush walks. 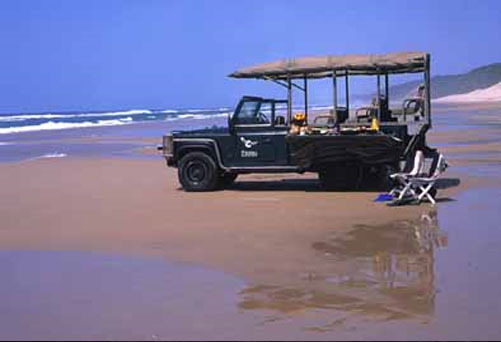 Experienced rangers and trackers guide guests in open Landrover vehicles through the great natural theatre of Africa. Overnight :Mala Mala Private Game Reserve, Lowveld. Mala Mala’s location within one of the richest wildlife regions on the continent, the vast Kruger National Park, renders its game-viewing experience amongst the best in Africa. The reserve features a great diversity of large and spectacular wildlife. You will be woken early for the customary early morning game drive before breakfast, and a chance to seek out those illusive predators. 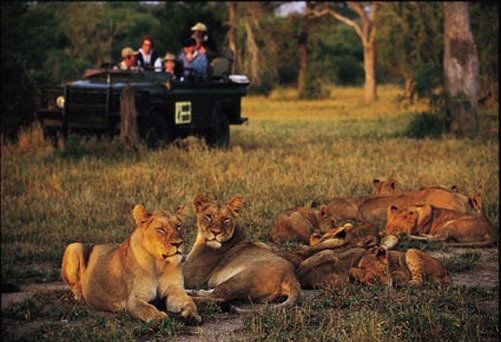 The wild animals are generally very relaxed in the presence of the open Landrover vehicles. Sightings are normally at close range. All members of the “BIG FIVE” – Lion, Elephant, Rhino, Leopard and Buffalo – are present within the reserve. 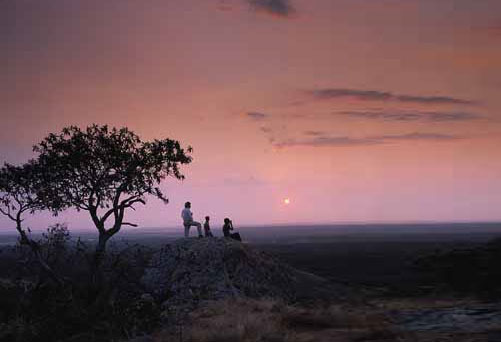 Enjoy a game drive in the late afternoon, returning to camp under cover of darkness. A delicious meal awaits you, set under the African stars in the traditional Boma dining area. Overnight : Mala Mala Private Game Reserve, Lowveld. Waking up early is essential when out in the African bush and the reward for doing so is no greater than at Mala Mala. Enjoy an inspiring sunrise during the morning game drive and return to camp for a scrumptious breakfast. For those wanting closer contact with this magnificent African wilderness, armed rangers lead guests on interactive bush walks which allow fascinating encounters with the trees, animal tracks and an intriguing host of beetles, butterflies and other insects. 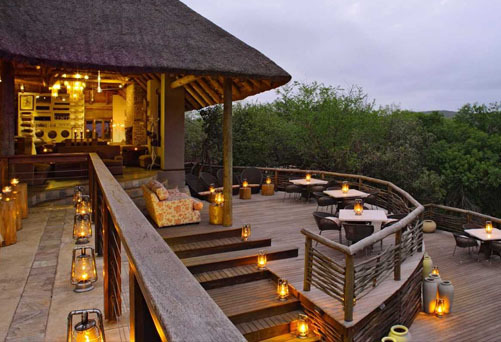 Overnight :Mala Mala Private Game Reserve. 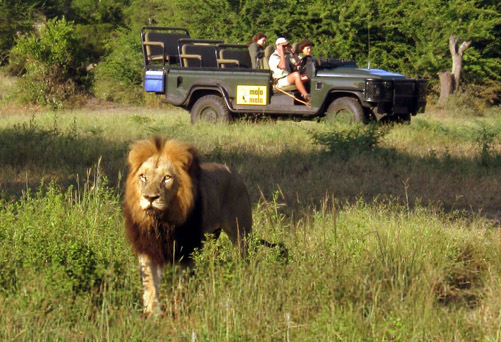 You will have the opportunity for a last early morning game drive at Mala Mala. After breakfast, you will be transferred to the private airstrip for your charter flight to Phinda Private Game Reserve in the northern part of Kwazulu – Natal Province. This flight will take approximately one hour. You will arrive at Phinda Reserve before lunch and have the opportunity to relax in your luxury lodge for the rest of the day. A late afternoon /evening game drive in this reserve will be a unique experience. Cradled between the arms of the Ubombo Mountains to the west and the azure sweep of the Indian Ocean to the east, Phinda is situated in Zululand, one of Africa’s most ecologically diverse regions with an extraordinary range of ecosystems and wildlife. The dense bushveld is home to the endangered black rhino, as well as Africa’s great predators. Phinda also offers the best free – roaming cheetah viewing opportunities in the whole of Southern Africa. Phinda Mountain Lodge is a sophisticated harmony of avante garde and ethnic décor, superb cuisine, and warm personalized service. At Phinda a world of adventure awaits…at dawn and dusk experienced rangers and trackers reveal the wonders of wild Zululand, from the awe-inspiring Big Five wild animals to a fascinating array of plants, statuesque antelope to startling insects, and of course over 350 species of magnificent birds that grace the reserve. Catch a glimpse of the imperial world of the Zulu, past and present, or slip silently in canoes or river boat past hippos and prolific birdlife on ancient water ways, exploring fossil finds en route to a magical private picnic. There is nothing quite like the “Flight of the Fish Eagle” air safari along the Indian Ocean coast, with sightings of whale sharks and giant leatherback turtles. Visit to the diving paradise of Sodwana Bay, where the diversity of marine species rivals that of the Australian Great Barrier Reef. 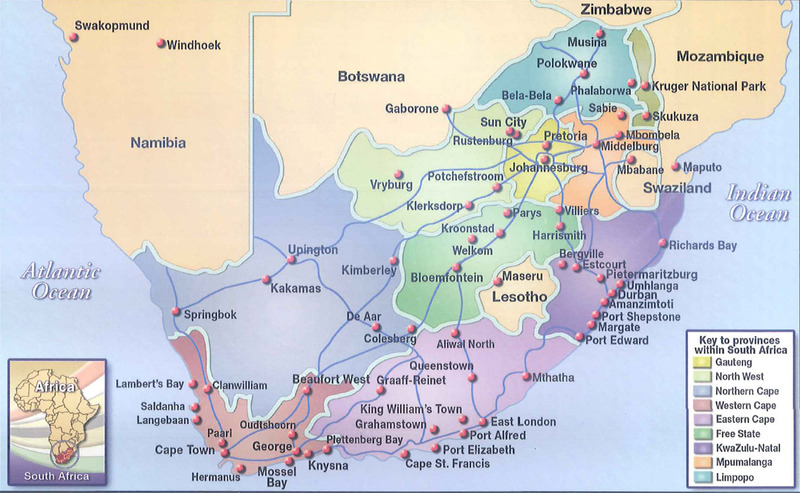 You will be transferred to the airport for your South African Airways flight to the town of George. This is situated in the heart of the magnificent Garden Route, on the Southern Cape Coast of South Africa. You will be met by an African Collection Representative, who will give you a short road transfer to the town of Plettenberg Bay. The Garden Route of South Africa is one of the most beautiful and unforgettable areas in South Africa. 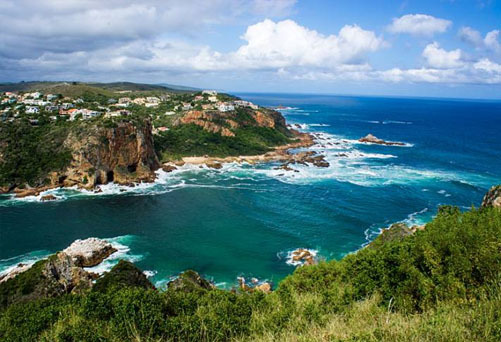 You will visit the wonderful sandstone cliffs, known as the Knysna Heads, guarding the Knysna Lagoon. You will enjoy some free time to browse through the shops full of handcrafted local art. Magnificent beaches and landscapes abound. Morning at leisure before an afternoon tour with your guide to the best parts of the Garden Route. 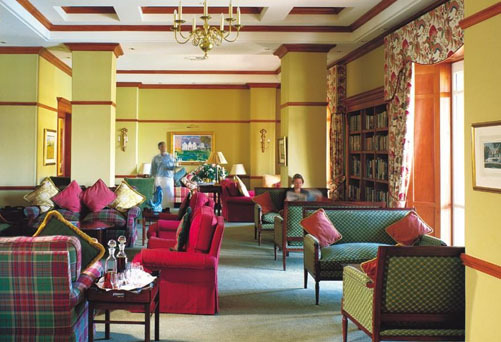 After breakfast in your hotel, depart per air for Cape Town. On reaching Cape Town, depart with your guide for the cable-way station at Table Mountain for an ascent to the summit (weather permitting). 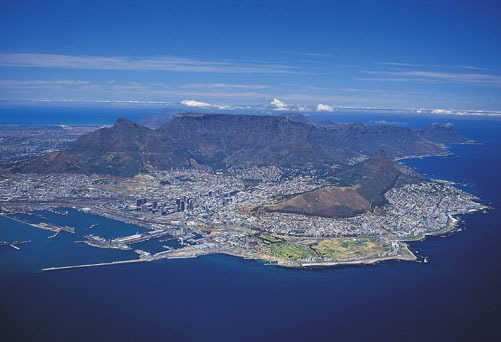 Unbelievable views of Cape Town and the Peninsula. Enjoy tea and cake on top of the world. 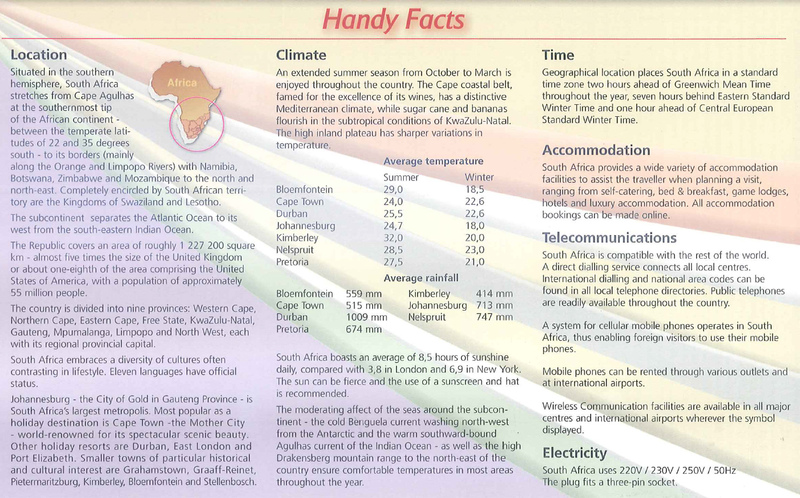 Continue your tour of the Cape Peninsula to Cape Point where the Indian and Atlantic Oceans meet. Enjoy this drive with breathtaking scenery. At leisure in Cape Town. 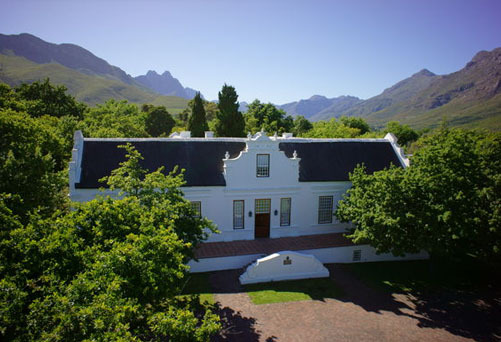 Full day spectacular tour of the Cape beauty spots including a visit to the historic town of Stellenbosch and the famous Cape Winelands region. Cape Dutch wine farms date back into the 17th century and produce some of the world’s finest wines in this Mediterranean climate. You will have the opportunity of enjoying excellent wine tasting at 2 or 3 of the most exclusive estates. Afternoon flight from Cape Town to Johannesburg to connect to International return flight to the USA.